What a great title. Ask most people to name a PD James novel, and this is probably it. A gloriously convoluted plot surrounding a Fens village, a forensic science laboratory, and a tightly-knit community linked in ways the reader cannot forsee. The clues are there but each is so fleetingly mentioned, so parsimonious, and so intertwined, that you will forget each and discount its importance. When the senior biologist at Hoggatt’s Laboratory is found dead, New Scotland Yard is called in. Commander Adam Dalgliesh arrives with Detective Inspector John Massingham; it is not the easiest of working partnerships, another layer of grit added to the oyster. 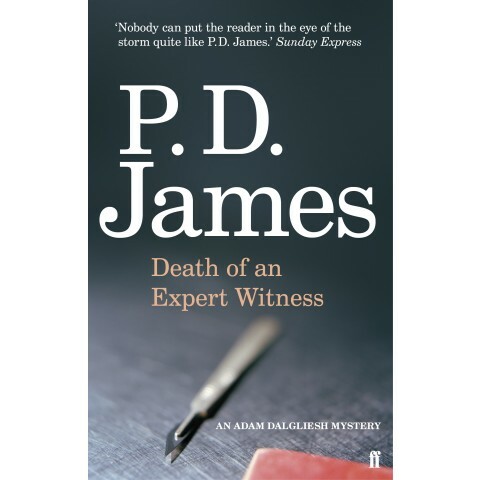 The technical detail, at which James is always so reliable, is interleaved here with the writing style I associate with the later Dalgliesh books. On his way to interview a bereaved relative, Dalgliesh stands on high ground and looks towards Hoggatt’s Laboratory. “Under the turbulent painter’s sky, with its changing clusters of white, grey and purple cumulus clouds massing against the pale azure blue of the upper air, and the sunlight moving fitfully across the fields and flittering on roofs and windows, it looked like an isolated frontier outpost, but welcoming, prosperous and secure. Violent death might lurk eastwards in the dark fenlands, but surely not under these neat domestic roofs.” But regular crime readers know that is exactly where crime lurks.